which included 31 sequential post to inspire you to create and make as a way of learning in your school. 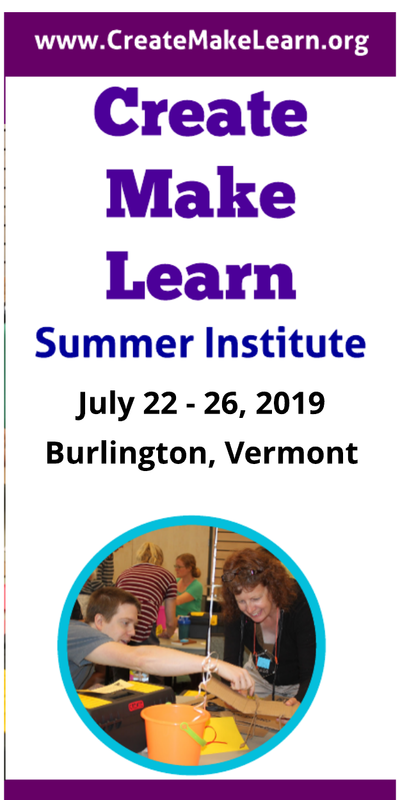 It's also the last scheduled day of the early bird discount for this year's Create Make Learn Institute -- maybe! 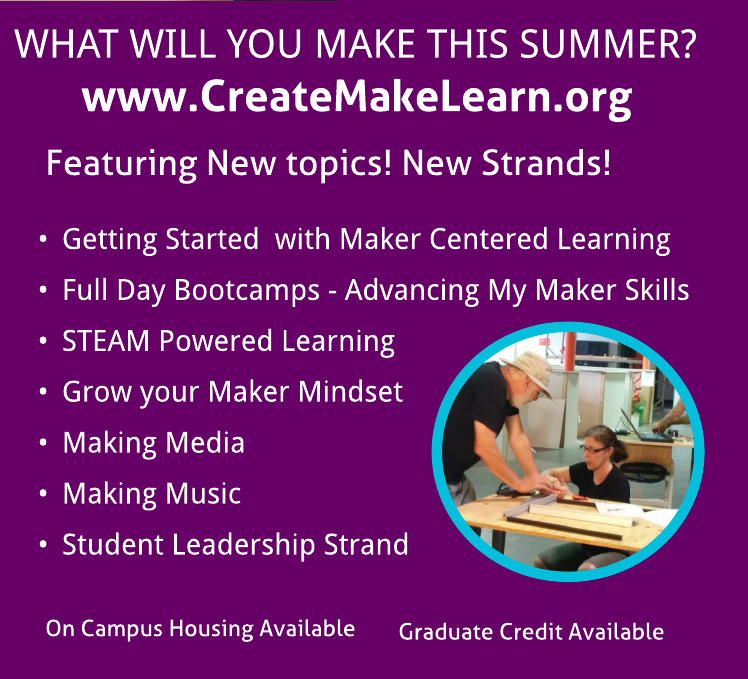 If you are reading this post and thinking about joining the fun at Create Make Learn Summer Institute 2017, we've got a surprise for you. As a thank you for reading this series, we've include a special code that will get you access to the early bird incentive until April 15. You can find the code at the bottom of this post. Every year Toy Hacking is one of the favorite workshops at Create Make Learn Summer Institutes. Who would have thought that taking apart and remixing the components of old toys to make something new would be so much fun! This workshop is filled with laughter and new learning! The first part of the new learning is OBSERVATION… looking around for good candidates for the toy hack. Toy Hacking has changed the way I look at yard sales! Sunday afternoons are the best for negotiating a whole box of toys at minimal cost! Visiting GoodWill stores or asking for donations usually leads to come creative and unexpected products to hack into. Taking Toys apart is a whole learning process in itself. Learning how to break into toys in a way that leaves you with components you can reuse also requires observation and introduces new tools and techniques for how to use tools. Identifying the different parts and what they do is a good way to apply your knowledge of circuits and how they work. 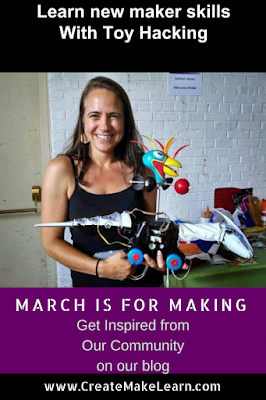 Toy Hacking can inspire the imagination, meet a child’s need, teach you to use new tools, help you develop systems thinking, and prepare you for more advanced making! To add a unique sense of purpose to your toy hacking session consider creating design thinking challenges that ask students to design a toy hack that would meet a child’s need who can not use the toy as currently designed. Check out some of the resources on DIYABILITY such as this resource for adapting a remote control car so that it can work with a SWITCH that is accessible for a special needs child. What a perfect way of combining design thinking and toy-hacking to create empathetic makers who understand the process of design thinking. 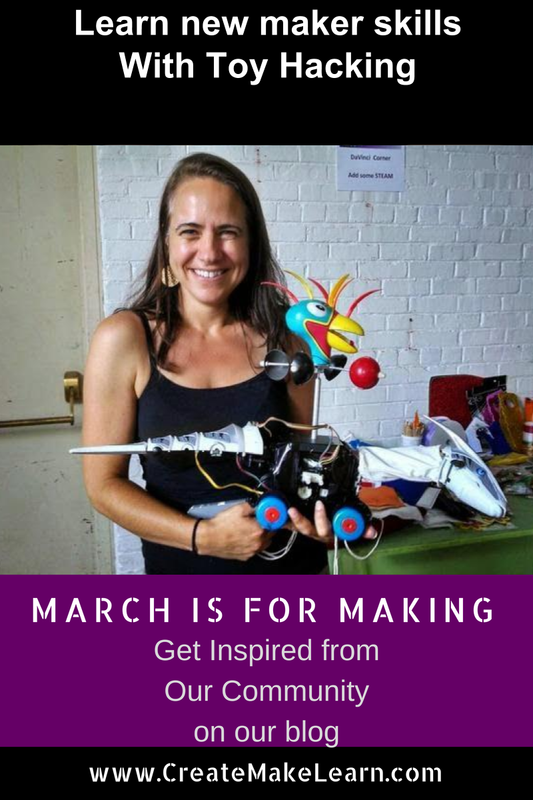 As a thank you for reading our March is for Making series of post to inspire making in your school, here is a special code you can use to extend the date for the early bird incentive until April 15.